When you already stand to hang for treason, what’s another felony? Arent Mueller and Comey old friends? What could go wrong for Pres. Trump with those two colluding against him? I guess its good to be the king (Comey). A Hearsay witness ? with no input from the other side of the he-said he-said ?rock solid right there. Interrogator Mueller: “Very Good, Mr Comey. Your comments have been very helpful. Clearly, this man is guilty of all that you charge him with”. Comey called Mueller from the plane on his way back to D.C. to plan how Mueller could get appointed as a Special Counsel. So is Rod Rosenstein, the official who ordered the Special Counsel investigation focusing on Trump campaign conspiracy with Russians, not Russian involvement in both campaigns as it should have been. The same RR who offered to wear a wire while meeting with Trump. FUBAR! 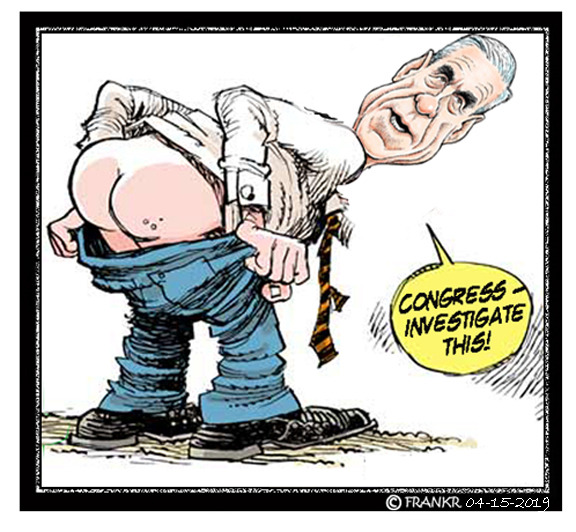 Mueller is not an honest nor unbiased man. He knew from the very beginning about the phony dossier and its source from the DNC and Hillary campaign. As such he also knew the FISA warrants were based on bogus and tainted research from a political hit group, Fusion GPS. If he “did not” he would have brought up Comey on charges of obstruction of justice and consulted his optometrist about his obvious blindness. He did not! Mueller’s whole purpose was to stall for two years and let the media and democrats run wild with bogus rumors and accusations. Mueller’s whole purpose as a deep state actor was to drag out the investigation for two years so the media could run wild with speculation of Trumps crimes which did not happen. It worked and the GOP lost many seats in the house of representatives. Now that the election is over and Trump is still standing we find out Trump did nothing wrong nor illegal. Mission accomplished Mr. Muller. Mueller must decide now whether his old friend Bill Barr is more important to Mueller’s career than his other friend James Comey. How’s that for loyalty.